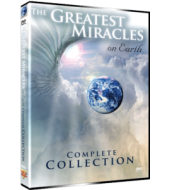 This unique DVD includes: Miracles of Love – With Jane Wester Anderson, Ken Gaub, Ranelle Wallace and Paul Robert Walker…this video is a testimony to the love of humanity and features inspirational accounts of the mysterious, surprising & transforming effects of love in our lives. Included are some of the most celebrated messages sent to mankind from a higher source. 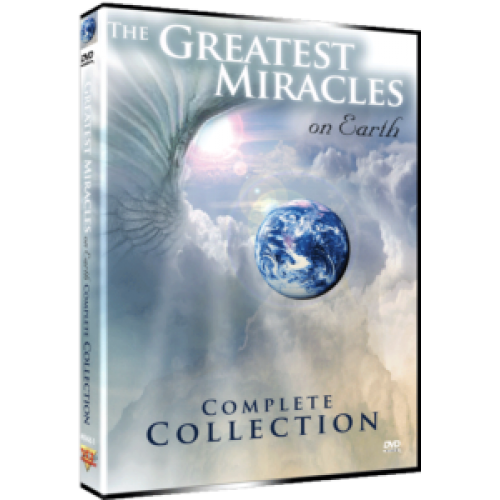 Miracle of Healing – With Paul Robert Walker, Rita Klaus, Andy Lakey and Vera Calandra… this video explores the mysteries of numerous healings throughout the world. It includes inspirational stories of people whose prayers are miraculously answered and details the stories of the French religious shrine at Lourdes, the mystic Italian monk called Padre Pio, a church in New Mexico said to have healing powers, and angel artist Andy Lakey. Miracles of Time and Faith – With Richard Abanes, Ken Gaub, Paul Robert Walker and Joan Wester Anderson… and announcing startling new evidence on the Shroud of Turin, this revealing video probes into the unknown and uncovers countless findings that can not be justified by modern science. Did the Blessed Virgin really appear in Fatima in 1917? Is she appearing today in Medjugorie? Can we come back from the dead? Plus, you'll hear dramatic testimony that Guardian Angels do save our lives.